Bouquets to Art marks its 35th anniversary with a new palette of summer blooms as it moves to June this year. One of the Museums’ most popular events, Bouquets to Art is a weeklong display of floral designs that take inspiration from the works of art in the de Young’s galleries. 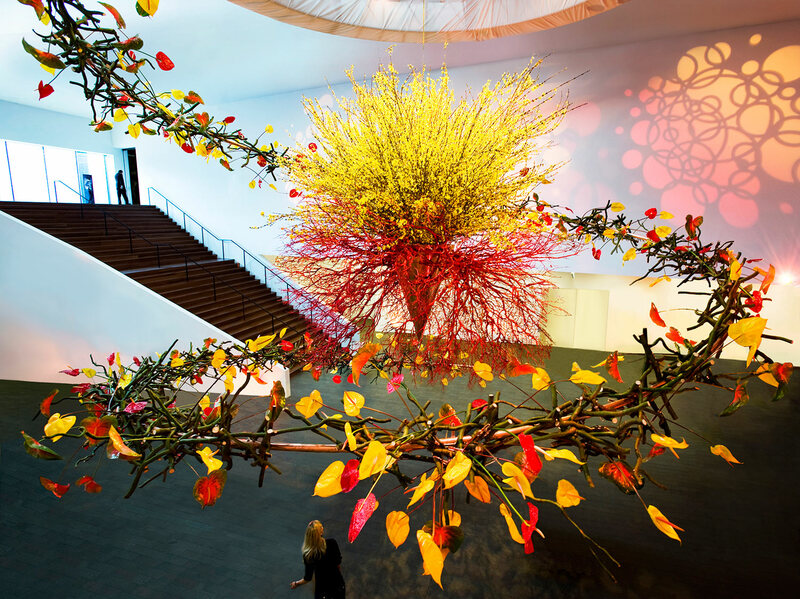 Preview this floral explosion at the festive Opening Night Gala on June 3. 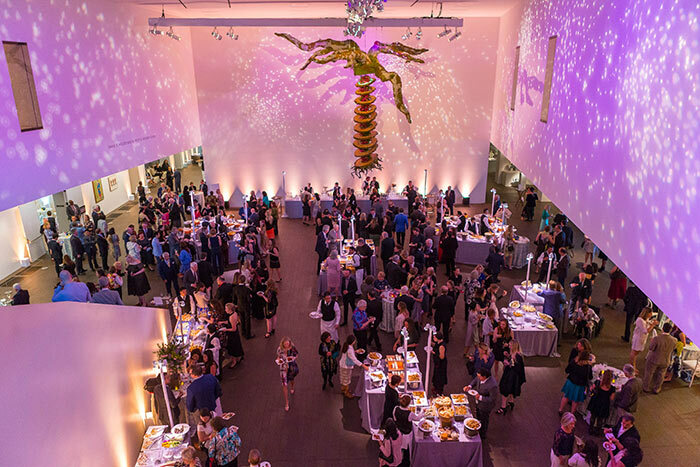 It’s not just fun and flowers—proceeds from Bouquets to Art help underwrite exhibitions, conservation projects, and education programs at the Fine Arts Museums. Bouquets to Art is presented by the San Francisco Auxiliary of the Fine Arts Museums. To learn more about this year's engaging programs and delicious catered luncheons, please see below. For $5 more, see Gauguin: A Spiritual Journey. Be the first to see the exhibits and enjoy a festive evening filled with visual and culinary delights, featuring exquisite floral fashions designed by City College of San Francisco students. Individual tickets start at $350. Advance purchase required. Patron-level tickets offer early admission and some levels offer gala seating. See the full list of Patron benefits. RSVP early, as tables sell out quickly. To purchase tickets or obtain more information, call 415.750.7648 or email specialevents@famsf.org. Natasha Lisitsa and Daniel Schultz are back for the 5th time to create a large scale floral installation in Wilsey Court. A wife and husband team, they are internationally renowned floral installation artists recognized for their larger-than-life installations, architectural design style, and innovative use of materials. Their studio, Waterlily Pond, is based in San Francisco. Purchasing tickets for the benefit raffle is another way to support the Fine Arts Museums of San Francisco. Tickets can be purchased on-site during BTA week at the raffle desk in Wilsey Court. The raffle drawing will be held Sunday, June 9 at 3 pm, at the de Young; winners need not be present. A night at The Mark in New York City, including a private docent tour for six at The Metropolitan Museum of Art; lunch for two at the oldest Italian restaurant in New York, Barbetta; and a behind-the-scenes tour at Christie’s Auction House. Airfare not included, restrictions apply. A taste of some of the top restaurants in San Francisco: dinners at Alfred’s Steakhouse, Bon Voyage, Palomino, Petit Crenn, Piperade, and Prospect. Dinners at Kitchen Collective and R+D Kitchen, the Napa Valley Wine Train for two, and a tour of di Rosa Center for Contemporary Art, complete with two nights at the all-new Hotel Villagio. Elegant dinner party for 10 in your home, including food and beverages. A delivery of Farmgirl Flowers to your home or office every month for a year. 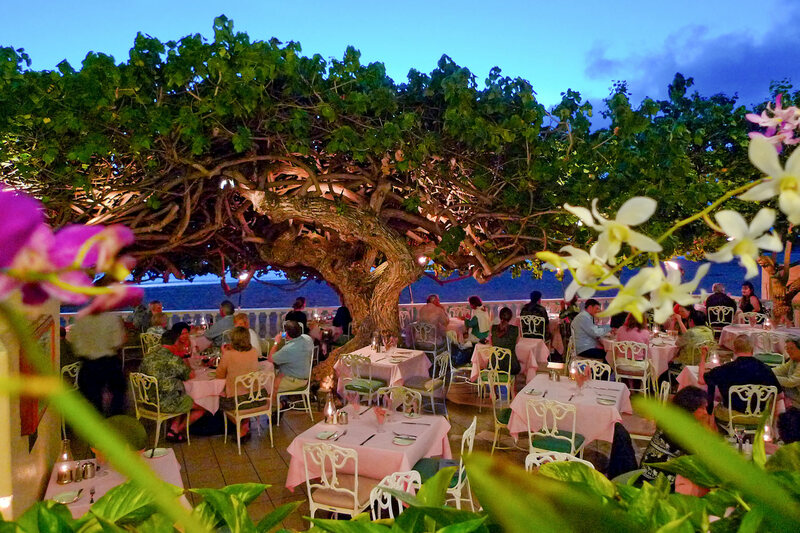 Eight complimentary nights at the Prince Waikiki, Coconut Waikiki, Shoreline Hotel Waikiki, and The Modern Honolulu hotels, including dinner at Hau Tree Lanai and tickets to the Bernice Pauhai Bishop Museum, Shangri La Museum, and Honolulu Museum of Art. Airfare not included, restrictions apply. Aloha! The Bouquets to Art Luxury Raffle is offered and fully operated by the San Francisco Auxiliary of the Fine Arts Museums. Proceeds benefit the exhibitions and programs of the Fine Arts Museums of San Francisco. In-kind support is provided by 21st Amendment Brewery, Bernice Pauhai Bishop Museum, Coconut Waikiki Hotel, di Rosa Center for Contemporary Art, Epoch Estate Wines, Eric Kent Wine Cellars, Hafner Vineyard, Hall Wines, Hau Tree Lanai, Honolulu Museum of Art, Hotel Villagio, Law Vineyard, Linne Calodo Winery, Lula Cellars, MacRostie Wines & Vineyards, The Mark Hotel, Mary and Joe Toboni Vineyards, The Metropolitan Museum of Art, The Modern Honolulu, Oakwild Ranch, Petit Crenn, Piperade Restaurant, Prince Waikiki Hotel, Prospect Restaurant, R+D Kitchen, Saxum Vineyards, See’s Candies, Shangri La Museum, Sinegal Estate Winery, Stargazer, and Three Twins Ice Cream.